Blockchain technology and the smart contracts it enables are the next step in the evolution of the mining and metals global supply chain, according to a paper published Thursday by global law firm White & Case. The industry’s adoption of the technology behind cryptocurrency Bitcoin, viewed by many as a solution to trade and settlement inefficiencies, is a matter of “when, not if” says Rebecca Campbell, one of the authors of the paper and White & Case’s partner. 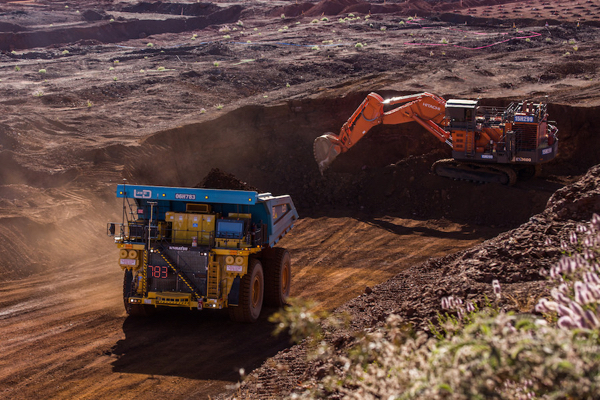 “With today’s pressured margins, inflationary costs and murmurs that the hard-won productivity gains of recent times may be eroding mining companies are looking for ways to improve efficiencies,” Campbell says. The platform could also help miners to increase market transparency and reduce the risk of fraud. Blockchain’s role in the green energy space and broader sustainable and transparent supply chains could be a game-changer, the reports says, thanks to its ability to promote trackability, transparency and security. This type of distributed ledger technology (DLT) uses a shared database that updates in real-time and can process and settle transactions in minutes without the need for third-party verification. Blockchain’s role in the green energy space and broader sustainable and transparent supply chains could be a game-changer. There already are some examples of the use of blockchain in the mining industry, with world’s No. 1 diamond producer by value De Beers testing a recently developed platform that allows to tracks gemstones throughout the entire value chain — from mine to buyer. With Tracr, to soon be made available to the whole diamond sector, De Beers can now both verify the authenticity of its diamonds and ensure they are not from conflict zones where gems may be used to finance violence. BHP, the world’s largest miner, is using blockchain with its vendors, including recording movements of wellbore rock and fluid samples and securing real-time data generated during production. And Barrick, the world’s No. 1 gold producer, has committed to invest $75 million this year in digital systems that aim to reduce operating costs and increase productivity. Another key selling point of blockchains and their potential benefits for the mining and metals global supply chain is the ability to run “smart contracts” on them. A smart contract, the authors of the paper explain, is a computer program stored in a blockchain that automatically moves digital assets between accounts when conditions encoded in the program are met. Digitizing individual mined parcels of ore as assets that can be traded on a blockchain platform could open new investing and trading opportunities, the authors say. This, because the platform would enable individuals to participate in previously closed negotiations, tailoring their purchases to the precise product grades currently available in the market. Taken from “Digitalising the mining & metals global supply chain: Rise of blockchain and the smart contract.”Courtesy of White & Case. 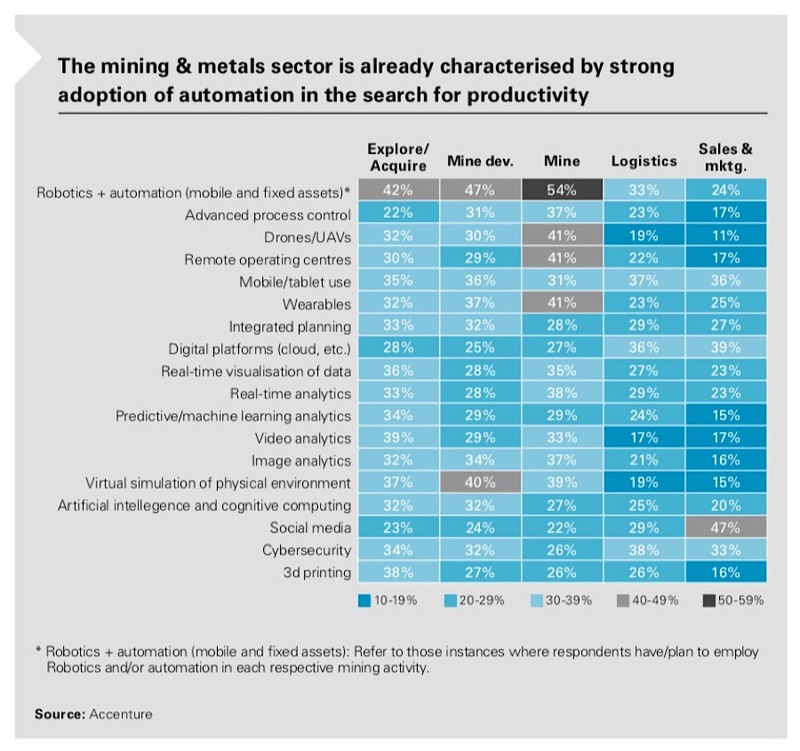 Empowering miners to trade more directly with customers has potentially profound implications for trading houses, although so far the various digital platforms do not seem to have had major impacts on the role of the trading houses in the global supply chain. The post Mining industry’s adoption of blockchain not a question of if, but when — report appeared first on MINING.com.